A mixed use project across nearly 200 acres (81 hectares), Riverwalk adds office and retail use to the Pima-Maricopa community. 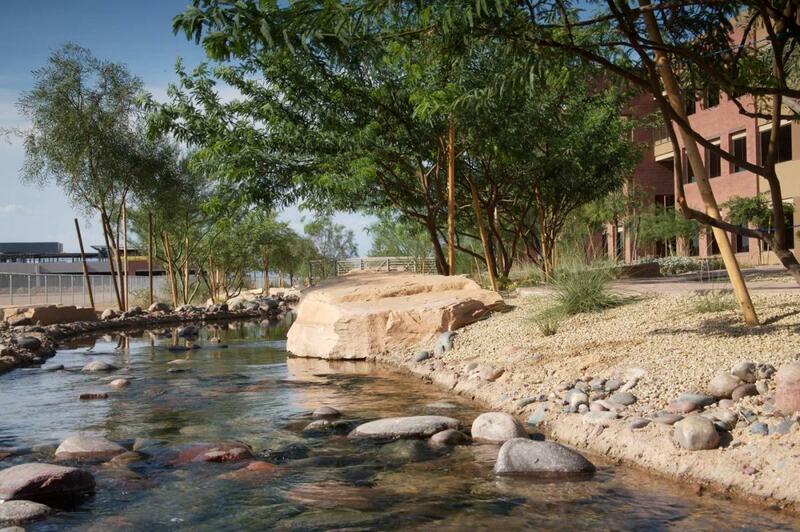 Riverwalk features a river cascading through the site with streams, waterfalls, and ponds, evoking the Pima and Maricopa’s tribal appreciation of the river as a life source. 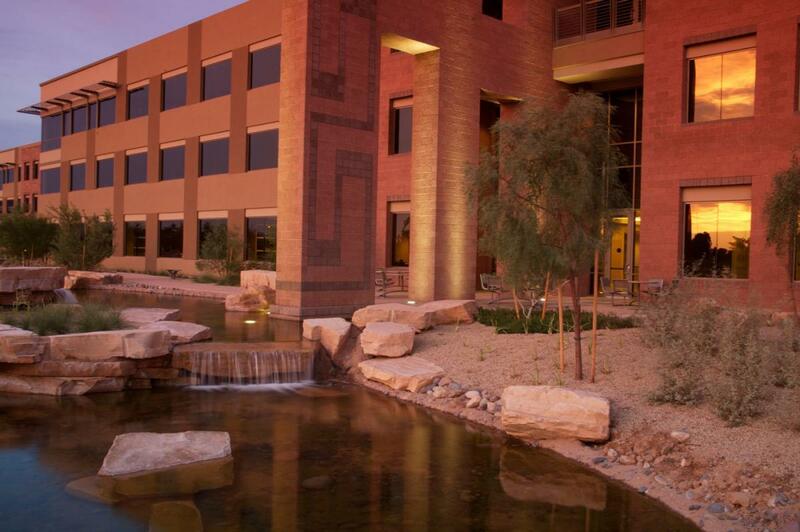 The river bisects a series of low-rise office buildings designed to preserve views of Red Mountain. The River tumbles through the office complex, culminating at the project’s retail area, with a large water feature visible from the 101 Freeway. Ninety-three acres of power tenants and specialty retailers benefit from maximum freeway frontage and a strong water identity. The River’s landscaped edge includes cottonwood trees, reeds and willows as well as ornamental grasses. 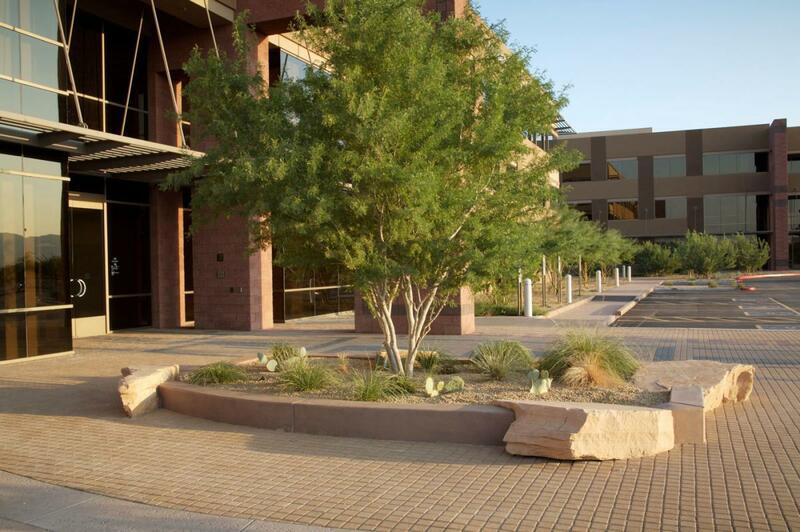 Shaded walkways feature a colorful recreation of tribal basket patterns.